The partnership comes after Google’s investment arm, Google Ventures, invested in Lime as part of a $335 million funding round announced in July. Electric scooters that invaded city streets across the U.S. over the past two years are entering well-charted territory: Google Maps. Commuters in 13 cities around the world will now see more than just car, train, bus and walking options under the transit icon when using the Google Maps application. Through a partnership with Lime, Google will show users options to take the startup’s scooters, pedal bikes and e-bikes as new travel alternatives for planning their routes via Google Maps. Google announced the partnership in a blog post in which it pointed to Lime’s short-term rentals as a way to solve the ”last mile” problem. The partnership comes after Google’s investment arm, Google Ventures, invested in Lime as part of a $335 million funding round announced in July. 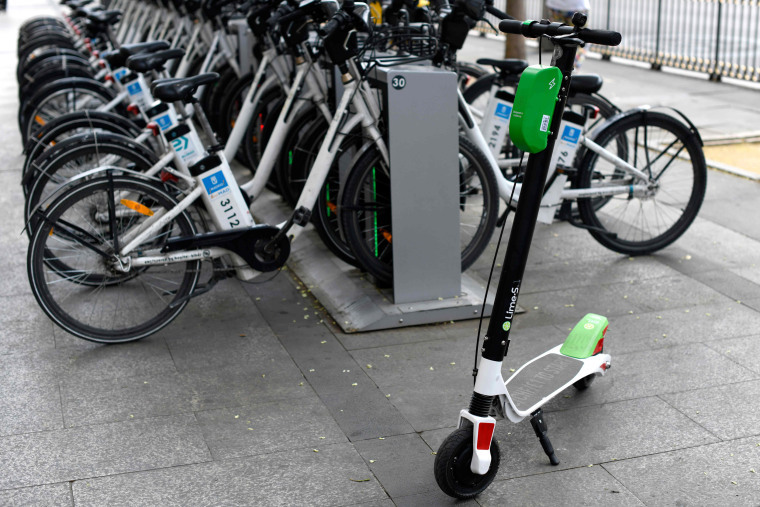 Lime and its main rival, Bird, have together raised about $870 million in funding, with a variety of major tech companies and venture capitalists flocking to the short-term rental startups that have quickly attracted riders. If Lime vehicles are available in a rider’s vicinity, Google Maps will predict the amount of time it will take to reach the vehicle and also gauge how long it will take to complete the entire journey. A cost estimate for the trip will also be displayed on screen, and users must tap into the actual Lime application to unlock and access the vehicles, similar to Google’s integration of ride-hailing services Uber and Lyft.